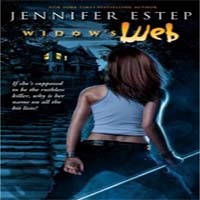 Well, I can tell you this about Thread of Death, the little novella written by Jennifer Estep that takes place right after the event of Spider’s Revenge, the fifth book in her Elemental Assassin series. 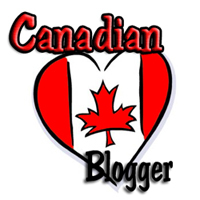 There is a lot of action packed into this short little story. Gin is one amazing character. One of my favorite things about Gin is how she is not afraid of letting her softer, more vulnerable side be seen. Okay, that’s not exactly true. She would never show that side to an enemy. But when it comes to those she truly trusts she puts it all out on the table. It’s really cool to see all sides to Gin and makes her even more likeable. In Thread of Death, she is still recovering from her massive showdown with a certain someone who has made her life what it is now. But, of course, even a burial is a mess in Ashland and that is where all the action takes place. I thought it was great how Gin came to terms with everything that has happened and came to see that her life is the way it is because it was supposed to be that way. I always like Gin. Usually, the Elemental Assassin series is told from Gin’s perspective. But Jennifer switched it up this time around. 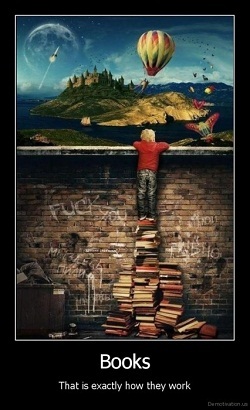 Each chapter is told by someone different. You get the perspective from three different players and I found that was really cool. I especially liked the chapter as told by Phillip Kincaid. Lots of ‘whoa’ moments in that one. His chapter really sets up the next next book (or book 7 if you will). You don’t only get tons of action in this little book, you get tons of questions too! Gin’s relationship with her sister is brought up and we’re not sure what’s up with that, there is a woman in black who we’ve maybe or maybe not seen before, there is mention of a new enemy that maybe Gin could help get rid of, and there is also a hint at Owen’s past and it’s not painted in the most favourable light! So many questions! 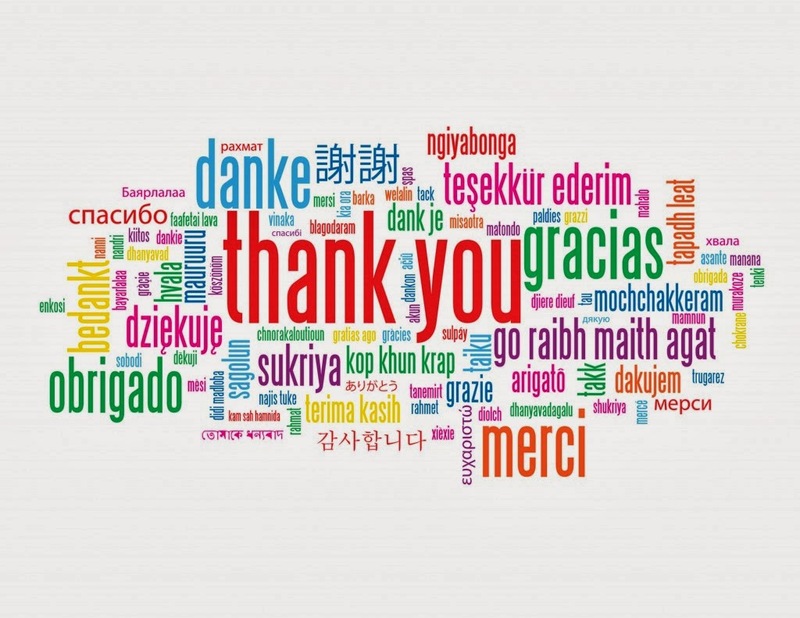 Makes me truly happy that there are at least a few more books coming to this series. 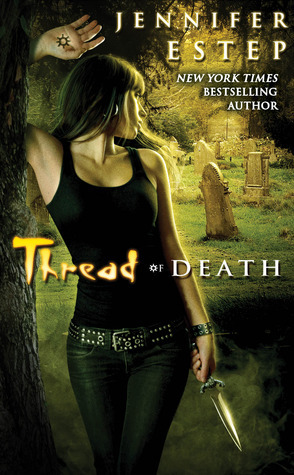 Thread of Death was a great little addition to Spider’s Revenge – like an epilogue if you will. It just polished off the story arc that ended in that book, bringing a little more closure to us the reader and to Gin too. 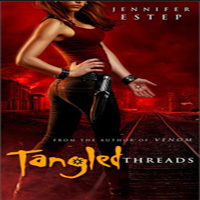 Stop by tomorrow for my review of By a Thread – the 6th full-length book in Jennifer’s wonderful series. 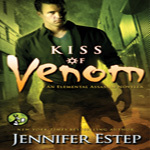 Share the post "Review: Thread of Death by Jennifer Estep (Elemental Assassin # 5.5)"
Extremely jealous you have the next book already, so not going to read that review! I did like this short story a lot as well, am very curious about that Philip, and Owen’s past.